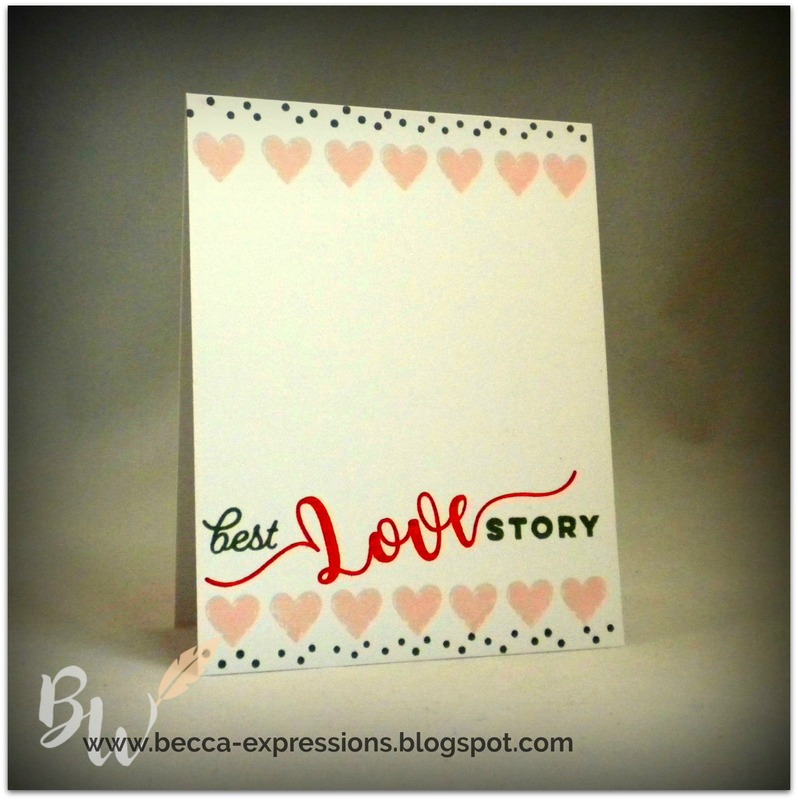 The heart and "best" are from Colorful Texture stamped in Bashful and Charcoal. "Love" is from What Matters Most stamped in Pomegranate. "STORY" is from Documented-Scrapbooking and is also stamped in Charcoal ink. 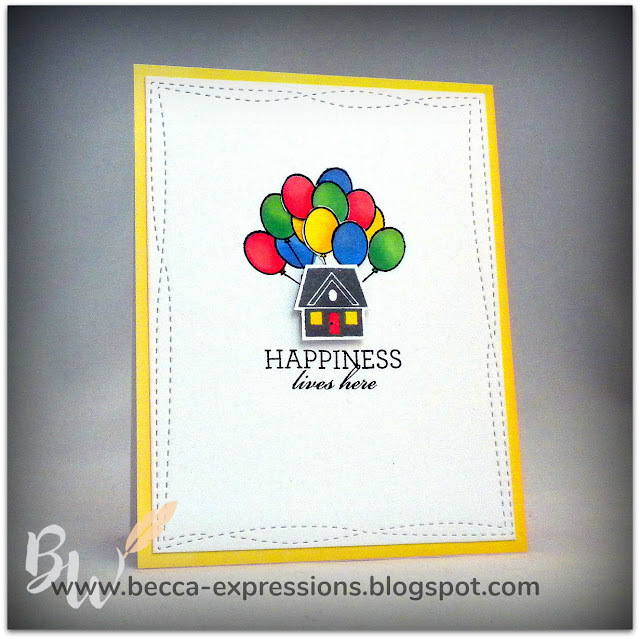 On the inside, I stamped "ever" from the Colorful Texture set. This set is the only one not retiring soon, but the price is going up so get it before September 1. I realize it's a lot of stamp sets for one card, but part of the fun of having multiple sets is mixing and matching them to create a custom card. It's also really fun to play with the various fonts from different sets. Off to get at least a half hour of writing done now that I've finished the synopsis. I feel so accomplished! My nephew got married about a month ago. 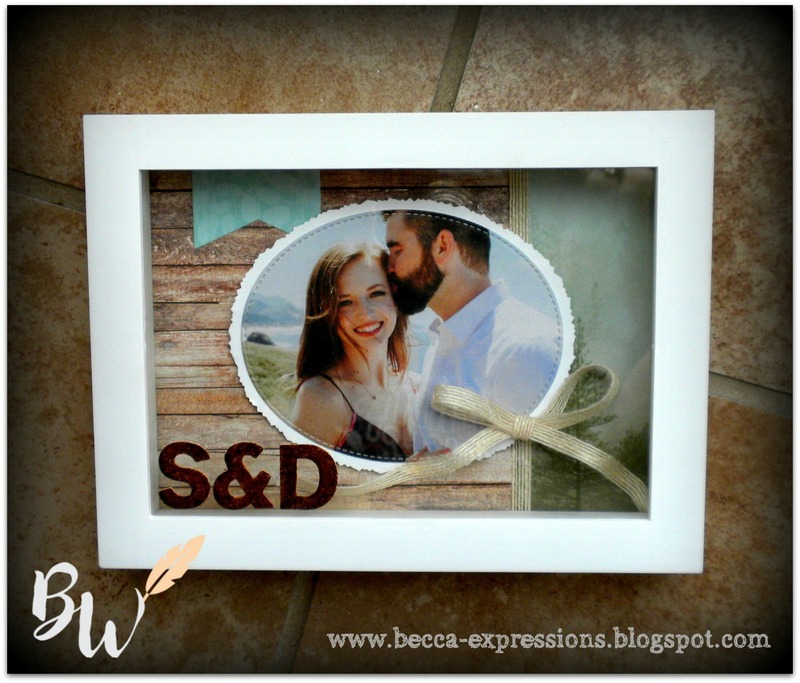 I created a customized gift using their "Save the Date" postcard, CTMH Fresh Air paper, and a shadow box purchased at Michaels. This was incredibly simple to put together. I glued Fresh Air paper directly to the base frame. The bumps from the rivets holding the metal thingies that rotate into the hole thingies (to hold the back onto the frame) were visible until I put the whole thing back in place. Then the extra wide frame hid them. (I hope that makes sense.) I added White Burlap Ribbon along the seam between the wood grain and tree patterned paper and a short banner or more Fresh Air paper before putting the framed picture over the top. I then made a bow and adhered it, with lots of dimension in both the bow and tails, using Liquid Glass. Everything went into the frame, then I added the cork letters over the top (retired product) and colored them with a Copic marker to make it darker. I love how the Fresh Air paper compliments the background of their photo which was taken on the Oregon Coast. That paper retires at the end of August. It's been a huge seller, so be sure to get yours before it's gone! I'm flying to Denver today to participate in the Romance Writers of America annual conference. It's my first time going and I'm a little nervous. Check that...I'm overwhelmed. That seems to be my mode of operation these days. I'll try to post some pictures of the conference if I have time to breath between sessions. This card went to my daughter and son-in-law. My daughter loved the movie UP, and she sent a text to say how much she liked this card when it arrived. A number of products will be retiring soon, which also means they won't be available if supplies run out before September 1 when the current Seasonal and Annual catalogs expire. I've noted these products with an asterisks (*) in the supply list below. While we're on the subject of the new catalog, here's some more important news: Prices are going up. Not much - only a dollar on most items - and not unexpectedly after the number of years prices have held firm. While you are stocking up on those items, be sure to take advantage of Stampaganza! This promotion is a buy two, get one of equal or lesser value free on stamp sets. Any stamp set! But it also includes the alphabet and number "Solo" sets which retired a number of years ago and have been brought back for this month only. Okay...that's enough news for the day. I need to get up to my office and return to writing book three of the Montana Brides series. I think I finally - FINALLY - figured out the beginning. I thought I might as well come down to the craft area and play. With leftovers from this card still on my table, I used a combination of My Favorite Things (MFT) and Close To My Heart (CTMH) products, both current and retired. (Note: links to current products provided). I cut three flowers plus several leaves from MFTs Stitched Blooms die cuts. I colored the flowers with Copic markers then highlighted with a white gel pen. I used CTMH Blossom cardstock and MFT Stitched Traditional Tag STAX (die cut) for the tag. I also ran the tag through an arrow embossing folder, but the texture doesn't show up well in the picture. My final die cut was the sentiment, retired from CTMH but one of my favorites. 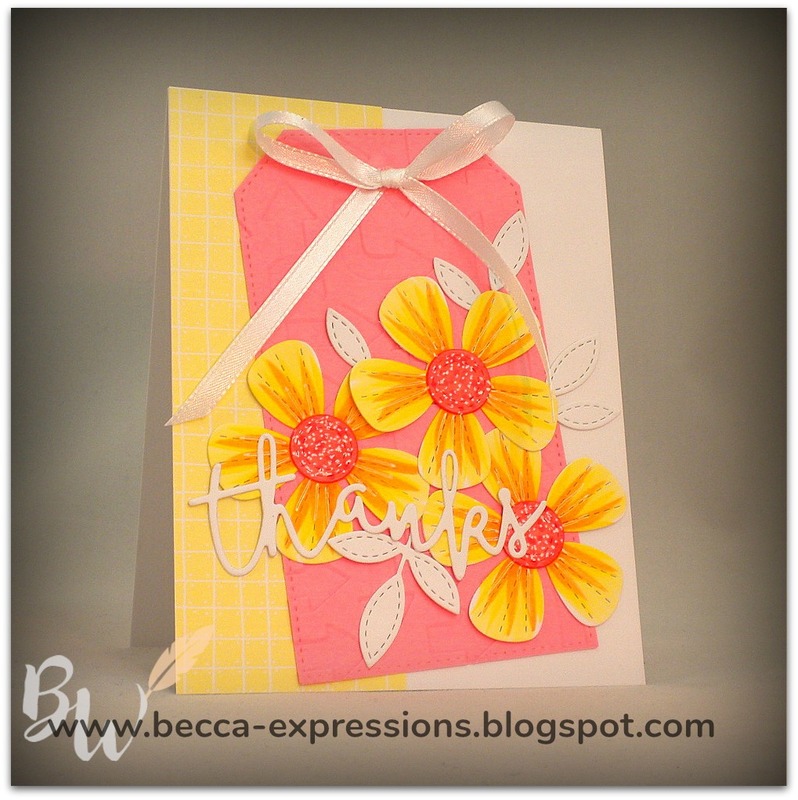 I glued a strip of 2x5.5 Sunkiss paper to the card base then layered the tag, flowers, and sentiment over the top. The final touch was a white satin bow. I love these flowers. I love these flowers. I love these flowers...right now mostly because they don't kick me awake in the middle of the night. I spent most of June traveling, the last part with my best friend who lives in Washington. She accompanied my to Billings, MT where I picked up the Spur Award for "Best Western Romance Novel" at the Western Writers of America conference. I'll post more about that on my author web page soon, but I'm still processing the event. I wanted to send a special thank you card to my friend for chauffeuring me all around and being my "Plus 1" at the conference. I was so nervous about my acceptance speech, and she really helped keep me from sweating through my blouse. For this card, I used the Blossom colored paper in the Adventure Fundamentals paper pack and swiped some Tangerine ink using the side of my ink pad. I was aiming for the kind of stripe that's in the middle. My top swipe went a little wide. I thought about starting over again but stopped myself. Perfection is highly overrated. I stamped the flowers (from Documented-Cardmaking) in Momento Black Ink on White Daisy paper. 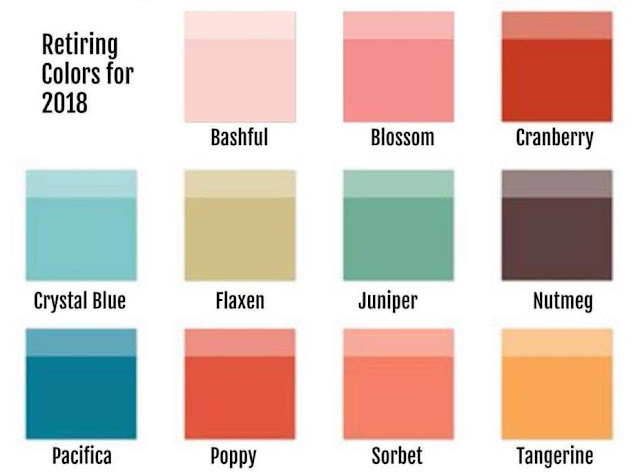 To color them, I squeezed Blossom, Tangerine, and Sweet Leaf ink into their respective lids and painted the color on with a wet fine-tip brush. White Daisy paper isn't great with water so you need to be a little careful about how wet your brush is when you paint. I let them dry before I cut them out. This stamp set comes with coordinating die cuts, but I used my Micro-tip Scissors instead because I didn't like the border of white that the die cuts leave. After I glued down the flowers, I stamped the sentiment in black ink and hand drew a border with a fine-tip black pen. I love how bright and cheerful Blossom and Tangerine are together. I hope my friend smiles when she opens this card. Welcome to July! It's warming up here in Virginia. I can't walk outside without my glasses fogging up, but the trees and grass are green and the sky is blue so I'm happy. 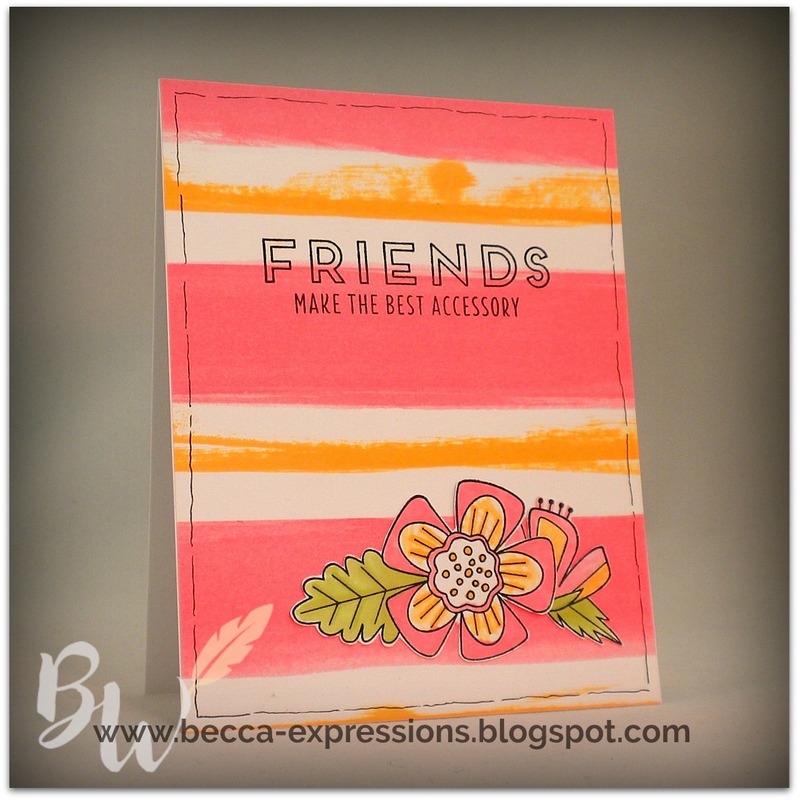 I have lots to catch you up on in my writing world, but today I'm going to focus on my stamping world. 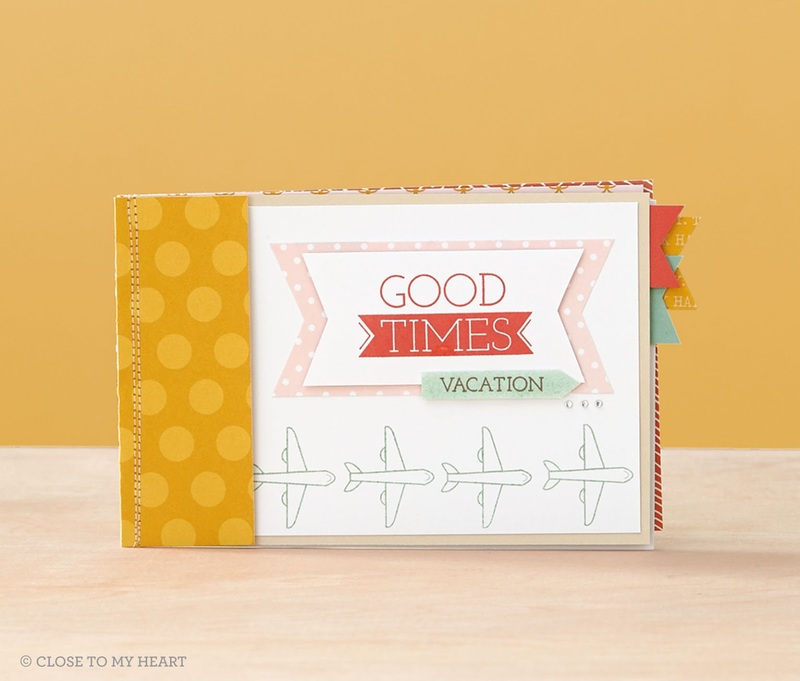 CTMH is winding down its Annual Expressions year with the ever-popular Stampaganza special where you buy two stamp sets and get one of equal or lesser value for free. As part of the celebration, they've brought back the retired "Solo" featuring individual letters and numbers featured above. Click on the link above or here for more information. In addition to Stampaganza, CTMH is also running their monthly Stamp of the Month. This fun set works for cards as well as scrapbook pages to help us celebrated milestones. It's called Highlight Reel and, as always, is available for $17.95 or for only $5 with the purchase of $50 (which will be easy with Stampaganza going on!). 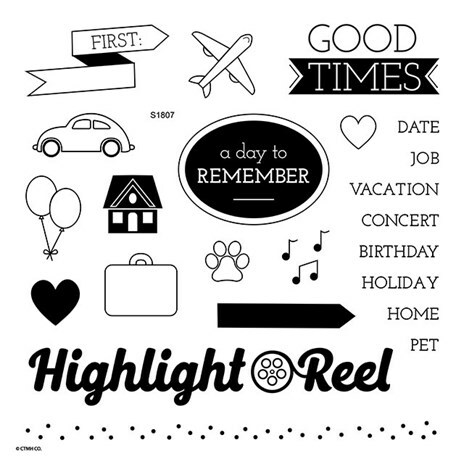 I'm envisioning a few movie night themed layouts and invitations combining this set with the Movie Night stamp set featured in the current Seasonal Expressions catalog. FYI, CTMH has decided to release three catalogs a year rather than one annual book plus the three seasonal/holiday ones. The new catalog will release in September with lots of holiday themed papers and stamps, so the current Annual Expressions is extended through August 31.